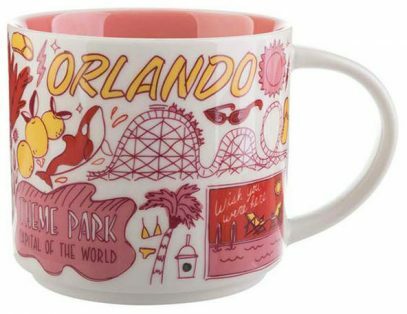 For Starbucks Been There Orlando mug I am using official photos, but let me assure you, mug is out and is for sale online (see below). From what I can see, Starbucks decided to not use themed parks elements here, and it makes complete sense. There is no doubt that Disney and Universal BT mugs will be released as a separate set later.